Those two quotes (of many that I jotted down) from For Love or Money (Crafting An Indie Author Career) by Susan Kaye Quinn nails how indie authors should go about developing a writing career. Quinn writes from a philosophical perspective on how indie (I don’t use the term self-published) authors can make a living from their books and how writing for love or money can be beneficial no matter which path a writer takes. I heard Susan Kaye Quinn on The Creative Penn and Author Strong podcasts recently talking about her career (she is best known for her YA Science Fiction: The Mindjack and Singularity Series) and how she has learned to balance writing for love and money. Also, she has published romance novels under a penname that gets quite a bit of attention in For Love or Money. I read this book in one setting and there are plenty of nuggets to digest like Why Do Want To Write, Creating A Mission Statement, Leave Your Biases At The Door If You Are Writing For Money, Being Patient, & Writing Like You Are On Fire. These are excellent motivational tips that will make a reader dig deeper on how they should craft their career as an indie author. 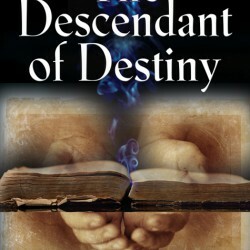 There are quite a few how-to indie author books on the scene. However, I believe that For Love or Money stands out from the pack because of its philosophical as well as a practical approach to the ever changing world of Indie Publishing. 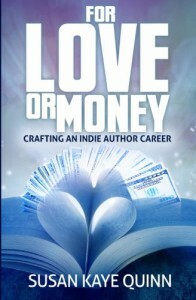 I highly recommend For Love or Money as a permanent resource for Indie Authors to keep on their bookshelf or eReader.